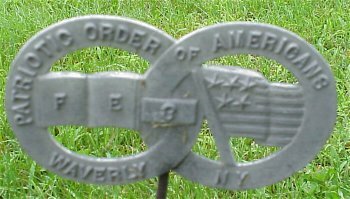 This commemorative flagholder is from the Waverly NY branch of the organization which was an auxiliary of the Patriotic Order, Sons of America. 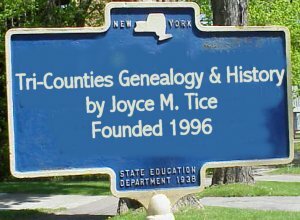 See the POS of A history for details. 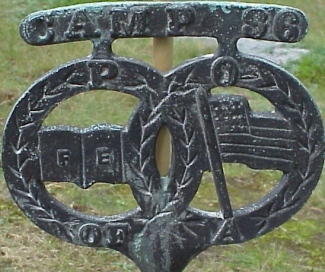 This insignia includes the American flag and the Bible, both of which were symbols for this pseudo-patriotic organization.